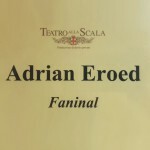 Adrian Eröd in Dresden: in January as Danilo in “The Merry Widow” and in March rehearsing Beckmesser for the Salzburg Easter Festival. All performances are to be found here: Calendar. Adrian Eröd has been appointed “Österreichischer Kammersänger” in May 2017. Together with his wife Monica Theiss-Eröd, Adrian Eröd sings romantic duets on his new CD, released in May by the label QUINTON. Beautiful music, touching and personal! 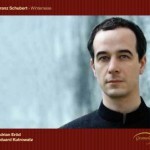 Music Publisher Doblinger recently released a volume of 10 Songs by Eric Zeisl edited by Adrian Eröd. 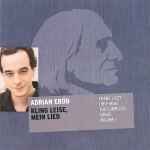 Adrian Eröd has recorded a CD with songs by Franz Liszt, for the Munich label marsyas. The CD stands at the beginning of the first complete recording of Liszt’s art songs, which will be concluded in the autumn of 2011 and will celebrate the master’s 200th anniversary. The past months have been extremely successful for Adrian Eröd. In January, Adrian sang the part of Prospero in the German premiere of The Tempest, by Thomas Adès, at the Frankfurt Opera. The performance — conducted by Johannes Debus and directed by Keith Warner, was a triumphant success with the public and the press alike. In April, Adrian entertained the public at the Zürich Opera, in the leading role of Sixtus Beckmesser, and celebrated a big personal success. Vienna experienced the world premiere of Aribert Reimann’s Medea, in which Adrian Eröd sang the part of the lead male character — the disloyal Jason. The composer Reimann, the conductor Michael Boder, the director Marco Arturo Marelli, the leading lady Marlis Petersen, and the entire ensemble were celebrated with standing ovations — the contemporary opera is alive!